429 Beacon is located on the south side of Beacon, between Gloucester and Hereford, with 427 Beacon to the east and 431 Beacon to the west. 429 Beacon was built ca. 1869, one of eight contiguous houses (419-421-423-425-427-429-431-433 Beacon). The houses were designed as four matching symmetrical pairs (419-421 Beacon, 423-425 Beacon, and 427-429 Beacon, and 431-433 Beacon). 433 Beacon was remodeled in about 1897 and the entrance moved to 12 Hereford. Click here for an index to the deeds for 429 Beacon. When 429 Beacon was completed, it was leased from Frederic and Caroline Sawyer by dry goods merchant Frank Waldo Wildes and his wife, Helen Delia (Hilger) Wildes. They had married in April of 1869, and 429 Beacon probably was their first home together. They continued to live there in February of 1870, when their son Maurice was born, but moved soon thereafter to his family home at 100 Mt. Vernon. On March 1, 1870, 429 Beacon was purchased from the Sawyers by Lemuel Shaw, trustee under a marriage settlement indenture between Rev. William Copley Winslow and Harriet Stillman Hayward entered into at the time of their marriage in June of 1867. William Copley Winslow was an Episcopal clergyman and archaeologist. He and his wife previously had lived in Lee, Massachusetts, where he had been rector of St. George’s Church. 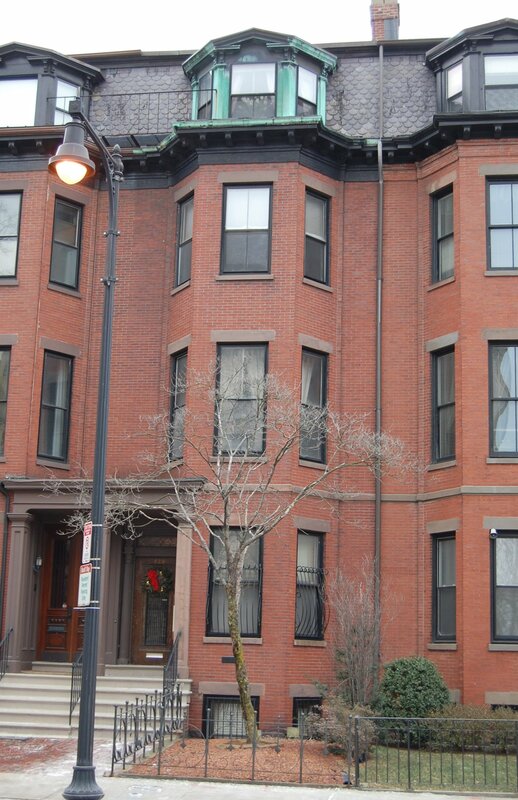 They continued to live at 429 Beacon during the 1887-1888 winter season, but moved thereafter to 525 Beacon. On August 8, 1888, 429 Beacon was purchased from Samuel S. Shaw, successor trustee of the Winslows’ marriage settlement indenture, by Dr. Henry Jabez Barnes, a physician. He and his wife, Augustine (Lelievre) Barnes, made it their home, and he also maintained his medical practice at the house. They previously had lived at 386 Beacon. On May 2, 1893, Henry Barnes transferred the house into his wife’s name. Augustine Barnes died in March of 1900. Dr. Barnes and their daughter, Marie Augusta L. Barnes, continued to live at 429 Beacon. In April of 1909, he remarried, to Caroline Louisa Brooks. After their marriage, they lived at 429 Beacon. Henry Barnes died in October of 1923. 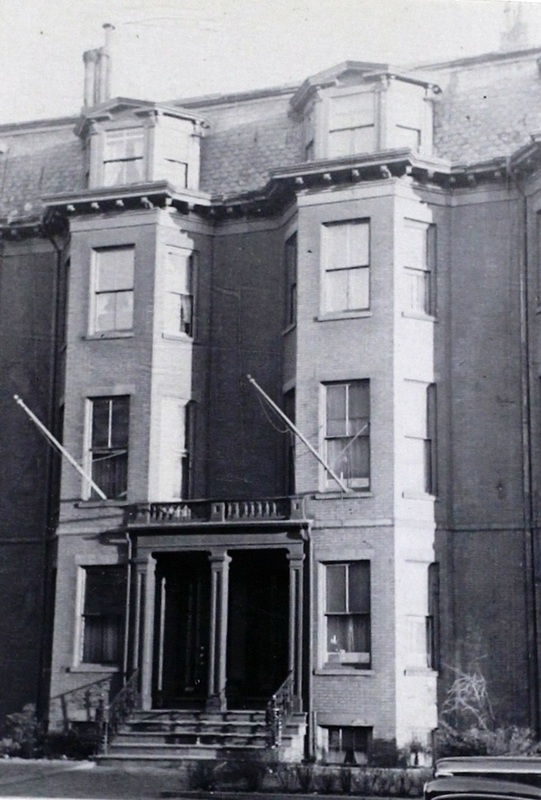 Caroline Barnes and Marie Barnes continued to live at 429 Beacon in 1924. 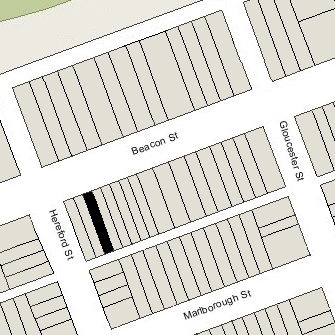 By 1895, Caroline Barnes had moved to an apartment at 295 Beacon and Marie Barnes had moved elsewhere. On May 7, 1924, 429 Beacon was acquired from the estate of Henry Barnes by Miss Rose M. Donahue. 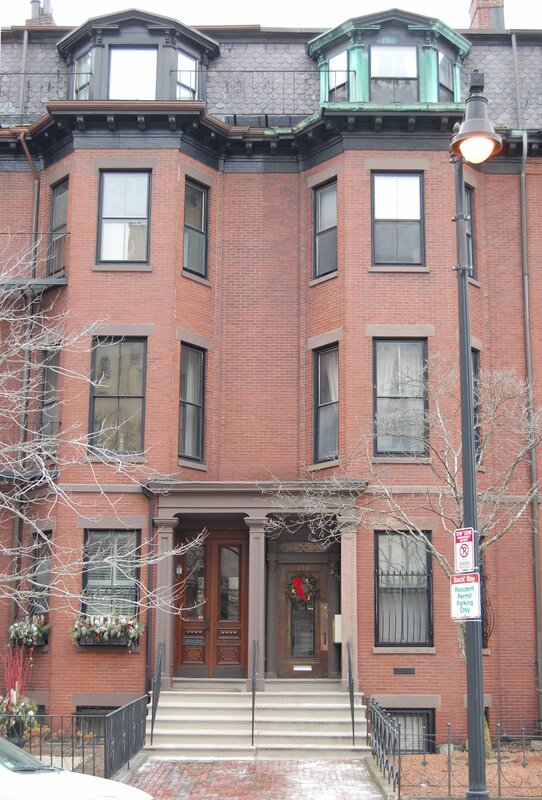 She previously had lived at 26 Hemenway. On July 6, 1925, 429 Beacon was acquired from Rose Donahue by Dr. John Thomas Williams, a physician, and his wife, Gerda Frederica (Johnson) Williams, a nurse. He also maintained his medical office there. They previously had lived (and he had maintained his office) at 483 Beacon. In July of 1928, he filed for (and subsequently received) permission to convert the property from a single-family dwelling into a single-family dwelling and doctor’s office. John Williams died in September of 1955. Gerda Williams continued to live at 429 Beacon until her death in 1971. On October 1, 1971, 429 Beacon was acquired from the Williamses’ daughter, Ruth (Williams) Strange, the wife of Robert Strange, as executor of Gerda Williams’s estate, by Richard E. Sobota, an engineer, and his wife, Catherine Manton Sobota, a professot and author. On July 18, 1978, Richard Sobota transferred the property to Catherine Sobota, and that same month she applied for (and subsequently received) permission to convert the property from a single-family dwelling into four apartments. On August 21, 2003, Richard M. Watkins and his wife, Maria Esperanza Watkins, purchased 429 Beacon from Catherine Manton Sobota. 429 Beacon remained an apartment house, assessed as a four- to six-family dwelling, in 2015.